At an lAS Supreme Coheld in and fCourthouse, New York, 2013. As I have become aware of the events over the past several months concerning the demise of Long Island College Hospital (LICH)at the hands of the State University of New York-Downstate (SUNY-Downstate), I have been increasingly concerned as to the propriety of my own order granting approval of the transfer of LICH’s assets to SUNY­ Downstate in light of Downstate’s apparent lack of stewardship over those assets in the advancement of LICH’s charitable purpose. Just a few days ago I visited the LICH campus in order to familiarize myself with the circumstances and observed, in just the brief few minutes I was there, the arrival and diversion of several ambulances, presumably containing persons in critical need of medical care. Such refusal to accept and treat these people is a travesty of the mission of LICH, a venerable institution established a hundred and fifty-five years ago to provide medical care to those in need of it. Upon review and scrutiny of the information recently made public about SUNY­ Downstate’s financial condition and its treatment of LICH, as well as the documents originally filed with this Court in support of LICH’s petition to transfer its assets to SUNY, I have determined that I have a legal and moral responsibility to correct my earlier error and hereby render the following decision sua sponte. 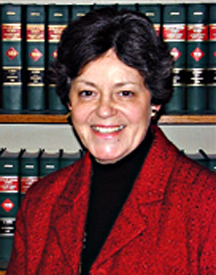 On or about April 20, 2011, upon the verification of Kathryn Meyer as Executive Vice President and General Counsel for the Long Island College Hospital, a petition was filed pursuant to Not -for -Profit Corporation Law, sections 510 and 511, seeking this court’s approval and permission to transfer virtually all of the assets of Long Island College Hospital (LICH) to SUNY-Downstate. Ms. Meyer represented to this Court that the proposed Transaction sought to be approved was necessitated by LICH’s financial crisis and was recommended “to ensure LICH’s ongoing existence and safeguard its charitable mission” and that SUNY-Downstate was prepared “to assume the operations of the hospital” and would thus “promote LICH’s charitable purpose”. The Asset Purchase Agreement clearly contemplated the continued operation of LICH as a hospital, certainly for decades, if not in perpetuity. The approval of the Attorney General, the New York State Commissioner of Health and various other governmental entities had already been obtained, apparently upon this representation that the hospital’s survival would thus be secured, LICH’s primary mission being the provision of patient care services. Petitioner urged that the conveyance of assets should be approved by this Court as fair and reasonable to LICH and in furtherance of its charitable purpose. The alternative, claimed petitioner, would be immediate bankruptcy and closure of the hospital. Despite petitioner’s urging that the petition should be expeditiously granted, by Orders to Show Cause entered on April 22 and 25,2011, this Court directed that notice of the proposed Transaction, which also included an invasion of the Othrner Endowment for the purpose of funding a Medical Malpractice Trust to effect the prompt settlement of malpractice claims pending against LICH, claimed to be a primary cause of LICH’s financial difficulties, be given to the Attorney General, executors of the Othmer estates, all malpractice plaintiffs, and all creditors of LICH. A public hearing was scheduled for May 12,2011. On the return date, the Courtroom was full, not only of the persons and entities which had been personally served with the Orders to Show Cause why approval of the transfer of assets and invasion of the Othmer Endowment should not be granted, but also of the many public officials and community leaders who have been appearing in recent litigation before my colleague, Justice Johnny Baynes, and in protest of the closing of LICH. All interested persons were afforded the opportunity to address the court and raise any objection they might have. Not a single objection of any kind was raised. The consensus was that the proposed Transaction would be beneficial to all parties in that the hospital would continue to operate and provide much-needed medical services to the people of Brooklyn, consistent with the 150-year-old mission of LICH and the wishes of the Othmers in donating many millions of dollars for the creation of an endowment for the preservation and advancement of LICH. As acknowledged in petitioner’s application for approval, no cash was to be paid to LICH in consideration for the transfer of virtually all of its assets, which included real property, valued by Cushman and Wakefield at approximately 548 million dollars on August 18, 2010. The real property to be transferred to SUNY -Downstate under the Asset Purchase Agreement consisted of 18 properties, estimated by some to be now worth up to a billion dollars. The Asset Purchase Agreement makes clear that the intent was to ultimately merge LICH into SUNY -Downstate following LICH’ s satisfaction of certain liabilities not assumed by SUNY-Downstate and for which LICH retained certain assets, including the Othmer Endowment. The only real consideration for the transfer of assets was the representation that LICH would be preserved as a hospital serving the people of Brooklyn. Upon this representation, and in the absence of any opposition, this Court granted the petition by Order entered on May 13,2011. Recent events have established that the consideration, which the Court found to be fair and reasonable in the circumstances, has failed, possibly by design, and that this Court, and many of the other interested parties, may have been deliberately misled at the time the transfer was approved. The Transaction closed on May 29,2011. Less than a year later, on May 15,2012, an application was made to this Court to permit the transfer to SUNY-Downstate of $15 million from assets retained by LICH in the Liability Fund, established to cover malpractice claims and remaining obligations of LICH, to cover operating expenses of Downstate, which was experiencing serious financial difficulties, approaching insolvency. The reason given for such request was that the State had failed to provide the anticipated funding to support the continued operation of SUNY-Downstate resulting in a “financial crisis” that would likely result in a significant loss of jobs at LICH. The requested $15 million distribution would “alleviate the financial crisis and [ might] prevent certain job losses”. SUNY also sought additional disbursements from the LICH Liability Fund of $500,000 per month for six months, beginning on July 1,2012, which was denied by this Court. Despite SUNY-Downstate’s request that such funds be provided to SUNY without restriction, the Court designated the fifteen million dollars released to be used only for the maintenance of LICH. In January, 2013, pursuant to his constitutional mandate to audit the financial condition of a State entity, the New York State Comptroller issued a report of his findings regarding the financial condition of SUNY-Downstate for the period January 1,2007 through November 18,2012. The report indicates that SUNY-Downstate “consistently lost money from calendar year 2007 through calendar year 2011” such that “insolvency [is] looming in 2013”. Although the acquisition of LICH is mentioned as a significant exacerbating cause of losses sustained in 2011, Downstate’s financial condition had been deteriorating for several years prior thereto, primarily as a result of weak governance and mismanagement, as well as diminished revenue as a result of cuts in State funding. The report takes note of a prior audit issued on April 9, 2012, containing allegations of procurement fraud, waste and abuse. Of course, the January 2013 audit report was not available in May of 20 11 when petitioner LICH moved for approval of the transfer of its assets to SUNY-Downstate, but had the dire financial condition of SUNY-Downstate been made known to the Court at that time, the petition would not have been granted. Granting the petition under the circumstances would have been unconscionable as the failure of SUNY-Downstate to maintain LICH as an operating patient-care facility would have been predictable. As the Comptroller observed, SUNY-Downstate “acquired a facility that was in deteriorating fiscal health at the same time that [its own] finances were in decline”. Within a matter of weeks following the Comptroller’s report, SUNY-Downstate began the process of closing LICH, in clear violation of its commitment, provided as “reasonable” consideration for the transfer of all of LICH’s property, to continue operating LICH as a hospital. SUNY’s governing board voted to close LICH on February 8 and the first closure plan, which was subsequently withdrawn, was submitted to the Department of Health on February 20,2013. As this Court became aware, through press reports, of the implementation of the closure proposal, even in the absence of the necessary approvals, and learned of litigation to avert such closure before my colleague, Justice Johnny Lee Baynes, based upon my Order of May 13, 2011, authorizing the transfer of assets and the creation of the Malpractice Trust which operates under the authority of LICH, and which Order provided “that the Court will retain jurisdiction of this matter for purposes of enforcing this Order”, on June 27, 2013, this Court issued an order directing LICH and SUNY-Downstate to report upon the status ofLICH prior to the closing on the asset transfer, in 2012, and for 2013 to the date of the report. The report was to be received no later than August 5, 2013. The court-appointed Trustee of the Malpractice Trust was also directed to report on the status of the Trust Fund, payouts made in satisfaction of claims and the number of remaining malpractice claims. In the intervening period, pending submission of the requested reports, additional steps were taken by SUNY-Downstate to close the LICH hospital, in flagrant defiance of temporary stays issued by Justice Baynes in the pending litigation. Although Justice Baynes had stayed SUNY-Downstate from submitting a closure plan to the Commissioner of Health, on July 17,2013, this Court was advised by counsel for SUNY­ Downstate that on that date a “new Closure Plan for LICH” was being submitted to the State Department of Health for “expedited review”. Counsel’s letter also contained representations that none of the real property transferred to Downstate Holding pursuant to the asset transfer had been conveyed to third parties and all other property transferred had either been retained by LICH or was used or disposed in the normal course of operating the LICH facility. On July 19,2013, having already determined in June that LICH was deficient in health care and patient services, by letter addressed to the President of SUNY -Downstate, the New York State Department of Health approved elements of the closure plan submitted on July 17, with slight modifications in the proposed dates for closure of various services. SUNY-Downstate’s pre-emptive, unauthorized actions in closing departments of LICH, diverting ambulances to other facilities, refusing to admit new patients and eliminating the residency programs essential to the continued operation of LICH, beginning in May, continue to be challenged in litigation pending before Justice Baynes as accomplished in violation of 10 NYCRR §40 1.3( e) requiring prior approval by the Department of Health. Section 401.3(g) states: “No medical facility shall discontinue operation or surrender its operating certificate unless 90 days’ notice of its intention to do so is given to the commissioner [of Health] and his written approval obtained”. On August 5, 2013, this Court received the reports of LICH, SUNY-Downstate and the Malpractice Trust. SUNY continues to represent that it is losing vast sums due to its operation of LICH and its decision to close the hospital is justified. However, a careful review of the Petition seeking approval of the asset transfer, which contains numerous voluminous exhibits, and the terms of the Asset Purchase Agreement itself, reveals that SUNY was well aware of the deficit operating condition of LICH at the time the Asset Purchase Agreement was entered and expected to sustain additional losses in the three years following its acquisition of LICH of$144.4 million. Indeed, it was the representation that, as a State agency, SUNY-Downstate would be able to minimize its costs and absorb the additional losses resulting from the operation of LICH, that purportedly justified the transfer of LICH’s assets so as to avoid inevitable bankruptcy. LICH’s assets were, however, considerable and many alternatives to closure of the hospital were available. Even in bankruptcy, a restructuring may have been possible that would have averted closure. In fact, the creation of the Malpractice Trust is a mechanism analogous to those often employed in bankruptcy to dispose of crippling liabilities so that the debtor may continue to operate. The Court notes that the reports recently submitted do not indicate that SUNY-Downstate has actually sustained losses of the magnitude anticipated as a result of its operation of LICH in the two years it has been in control of the acquired assets. SUNY-Downstate’s actual losses attributable to LICH approximate $30 million dollars at this time. Moreover, LICH’s Liability Fund is actually in very good financial condition, to the extent that SUNY has sought to cover its own financial difficulties by accessing LICH’s retained assets. LICH was first incorporated under the Laws of 1858 and has, as its stated purpose, “To provide, on a nonprofit basis, hospital facilities and services for the care and treatment of persons who are acutely ill or who otherwise require medical care and related services of the kind customarily furnished most effectively by hospitals” and “To establish, operate and maintain a voluntary, general hospital, including an out patient department, to afford medical and surgical care to sick and disabled persons of every creed, nationality and color, and to promote medical science and instruction” (Restated Certificate of Incorporation of The Long Island College Hospital, Section 3-B(a) and Section 2(a), dated April 22, 1981). The closure ofLICH is certainly not in conformity with its stated purpose. It is noted that, in November, 2008, only two and a half years prior to the instant Transaction, the Commissioner of Health declined to permit the closure of LICH’s obstetrics and pediatrics services in order to save LICH from the onerous expenses of malpractice claims, finding that such services were critical to the residents of the area served by LICH. This Court notes that, in addition to the approximately half million residents of the area served by LICH, virtually every citizen of Brooklyn, and many others who are not citizens or residents of Brooklyn, who come into the downtown municipal center daily to work or litigate disputes or serve on juries, are served primarily by LICH in the event of a medical emergency. Upon review of the reports recently submitted to this Court and the Petition originally seeking this Court’s approval of the asset transfer, and the publicly-declared intent of SUNY-Downstate to close LICH within two years of the transfer of virtually all of the assets of LICH, in violation of its commitment to continue to operate LICH as a hospital in conformity with its historical charitable purpose, this Court finds that SUNY­Downstate has breached its contractual obligations as represented in the Petition and there has-been a failure of consideration. Without a full hearing, it cannot be determined whether SUNY’s breach is the result of its own incompetence, as suggested by the Comptroller’s report, or circumstances beyond SUNY-Downstate’s control, as it has contended, or the original design and intent was to seize the very substantial assets of LICH and convert them to SUNY’s own purposes in disregard of the stated intent of the Transaction. Ifthe latter was the actual plan, serious issues would be raised as to LICH’s complicity and the role of its Board of Regents. If the original plan, notwithstanding the representation that the purpose was to save LICH as an operating hospital serving the community, was actually to close the hospital, this Court, and possibly a great many other people, were deceived by the parties to the proposed Asset Purchase Agreement. The Department of Health”s letter of December 1,2010, granting conditional approval for the plan, contemplated that University Hospital (SUNY) would “acquire LICH, to become a single hospital with two (2) campuses in Brooklyn”; the closure of LICH was clearly not contemplated. At the very least, there appears to have been a lack of due diligence. The wave of enthusiasm for a solution that would preserve LICH may have blinded many to a more sinister purpose to seize its assets and dismantle the hospital. It is clear that the premise upon which this Court authorized the transfer of assets has been defeated and there has been no consideration provided by SUNY to LICH or the people of Brooklyn served by LICH. This Court has reviewed the Sustainability Plan for SUNY, prepared at the direction of the Legislature, and observes that the plan includes the sale and/or closure ofLICH. There is no pretense that SUNY-Downstate will continue to operate the hospital. Although as recently as last Friday, August 16, Justice Baynes once again directed the restoration of all services extant on July 19,2013, in view of the recent history of SUNY’s disregard of prior court orders, this Court holds out little hope of compliance. Although SUNY has issued requests for proposals to continue the operation of LICH, with each passing day, the hospital becomes increasingly moribund. Accordingly, this Court hereby rescinds its prior order and revokes its approval of the transfer ofLICH’s assets. The order of May 13,2011 is vacated to the extent that it authorized conveyance ofLICH’s real property to Downstate Holding Company and conveyance of other assets to SUNY-Downstate. As LICH remains in control of certain “excluded assets”, including the Othmer Funds, and the Malpractice Trust, the order of May 13, 2011, continues as to those provisions. Upon vacature of the approval provisions of the May 13,2011 Order, the previously transferred assets revert to LICH (el Rose Oeko Foundation,Ine v Lebovits, 259 AD2d 685, 687-88 [2d Dept 1999]). Fortunately, LICH has not yet been dissolved and continues to operate as an entity. Continuum Health Partners, Inc (Continuum), the sole member of LICH, is experienced as a hospital administrator and is intimately familiar with the operation of LICH. It is thus uniquely qualified to immediately take possession of the physical assets of LICH and resume operation of the hospital. Presumably, the Commissioner of Health will find Continuum qualified to do so. However, if this is not an alternative, a caretaker or receiver may be appointed to take over such responsibilities. Pursuant to Public Health Law §§2806-b and 2810(2)(a) , the Commissioner of Health may apply to this Court to designate a receiver for a facility for which he has revoked the operating certificate or to appoint a caretaker of a facility which the Commissioner has found violates standards for patient care or has operational deficiencies. Finally, as noted, the Attorney General has the statutorily-imposed responsibility to represent the interests of the public in the circumstances here. The Attorney General did originally support approval of the subject asset transfer, although he, like the Court, may have been misled or deceived by the representations made in support thereof. However, the Attorney General also has some responsibility to represent the various interests of other entities of State Government, including SUNY and the Department of Health and may find himself in conflict. It is for that reason that this Court has given notice to the Public Advocate for the City of New York who has already initiated litigation as the representative of the interests of the public. Should the Attorney General wish to continue to represent the interests of the public in this matter, he must so notify the Court or move to be relieved of such obligation. Obviously, much remains to be determined in this very complex situation. The Court is well aware that the health-care system, not only in Brooklyn, but throughout this City and this country, is in crisis and the mechanism has yet to be found to sustain a network of financially-troubled hospitals that are essential to the well-being of the public. Many alternatives are under consideration, including new legislative proposals that will not be available for some time. At the very least, it is probable that LICH can only be sustained as a smaller and leaner facility after the sale of some of its assets. The Court hopes a feasible plan can be devised and an appropriate administrator put in place. A conference will be held at 10 am on Thursday, August 22,2013, in my chambers to address the orderly and expeditious return of assets to LICH and the future operation of LICH as a hospital. The Court is aware that a request for proposals to address these issues has been issued by SUNY Downstate and believes there may be some proposals under consideration. Any entity or person wishing to present such a proposal is invited to participate in such conference. I will, of course, be consulting with my colleague, Justice Baynes, as to the status of settlement negotiations before him. This constitutes the decision and order of the court. If there is an intent to challenge this Court’s determination, it is appropriate to move for reconsideration prior to seeking appellate review so that a full record can be developed at a hearing. This entry was posted in LICH and tagged Judge Demarest, LICh, SUNY Downstate. Bookmark the permalink. Great post. This is a very impressive Judge. And it truly was a horrendously unfortunate situation that developers are trying to line their pockets while people lay hurt without medical attention. Moral culpability is dead… we need more judges who care about principles of equity.